1comment 2019-04-15 03:26:49 source:Securities Times Author:Zhong Rong The second beauty energy comes! Last weekHang Seng IndexThe 30,000-point offensive and defensive war was a bit ups and downs: after standing at the 30,000-point mark last Monday, the next day hit a new high of 30,222 points this year, but it fell below 30,000 points last Thursday, until last Friday's closing failed. Recover this integer mark. The analysis believes that with the favorable factors basically fulfilled, it is expected that the market will accelerate after the acceleration of the market from 29,000 to 30,000 points, and turn around the policy and performance into a shock and differentiation trend. In terms of individual stocks, a number of Chinese stocks have performed brilliantly. This year, the cumulative increase has been large and they have hit record highs in the near future. Standing on the 30,000 points for only two trading days, the Hang Seng Index's latest closing is still a key point of losing, and its cumulative increase this year has been 15.72%. Compared toSSEThe KLCI is gaining 27.86% this year.Hong Kong stocksThe overall performance is relatively backward, but some Hong Kong stocks have performed brilliantly, not inferior to A-shares, especially a batch of Chinese stocks have performed well and hit new highs. According to the statistics of the straight flush, among the 2,349 statistic Hong Kong stocks, 1411 were positive this year, accounting for about 60%; 754 were outperforming the Hang Seng Index, accounting for 32.1%, that is, only 30% of the stocks were running. Win Hong Kong stocksMarket. However, there are quite a few outstanding stocks. Statistics show that a total of 37 Hong Kong stocks have more than doubled their share prices this year. Among them, the three stocks of Qiao Xiong International, Hong Kong University Retail and Iron Goods have increased by 435.71% and 325.53% respectively. 304.26%. In terms of well-known Chinese stocks, Yurun Foods has the most outstanding performance this year, with a cumulative increase of 181.25%. As the chairman and actual controller of the company, Zhu Yicai was released from surveillance on January 22, the stock was arrogant 28.92% on January 23;Pork conceptStocks inA-share marketWind and water,Hong Kong stock marketRelated concepts also follow the dance. However, Yurun Food's performance in recent years is not ideal. On March 27, Yurun Food released its annual performance report for 2018. The annual operating income was approximately HK$12.651 billion, compared with HK$12.557 billion in the same period last year, an increase of 4.9% year-on-year; the gross profit for the year was HK$956 million. The annual net loss was HK$4.747 billion, and the loss amount increased by 148% compared with the same period of the previous year. The other Chinese stocks with the highest gains are mostly agricultural stocks. Dacheng Biochemical Technology, Dacheng Sugar and COFCO Meat have increased by 138.78%, 130.91% and 126.21% this year. In terms of new economic stocks, the Weimeng Group has risen 113.31% this year. Weimeng Group announced on the evening of April 2 that Tencent increased its holdings of 96.28 million shares of common stock in Weimeng, and the previous shareholding, Tencent held 7.73% of shares, becoming the second largest shareholder of Weimeng Group. Affected by this, the stock surged 19.06% and 12.89% on April 3 and 4. Hong Kong Stock ConnectIn terms of underlying stocks, among the 480 statistic stocks, 409 were positive growth this year, accounting for 85%; 260 out of the Hang Seng Index, accounting for 54.2%, more than 50%. It can be seen that the overall performance of Hong Kong stocks is better than the overall Hong Kong stocks. The three Chinese stocks of Kingsray Biotech, China Aoyuan and Sinopec Oilfields ranked the top three stocks in Hong Kong stocks, which were 103.6%, 101.6% and 100% respectively. According to the statistics of Securities Times Data, Kingsray Biotech won a net purchase of Nanxiang funds for three consecutive days. The accumulated net purchase amount was HK$25 million, and the stock price increased by 11.86%. Among the active stocks on the list on April 12, Kingsray Biotech's transaction volume through the Hong Kong stock exchange channel was HK$62 million, and the net purchase amount was HK$12 million. Statistics also show that a total of 68 Hong Kong stocks hit a record high since last week, 18 of which set a record high on Friday. Chinese stocks include COFCO Meat, Weimeng Group, China Aoyuan, Tongcheng Yilong and Anta.physical education, Bean League technology and so on. In addition, Haidilao, Conch Cement, Dreamland, China Science and Technology, etc., as well as a batch of Chinese capitalReal estate stockFor example, Longguang Real Estate, Sunac China, Longhu Group, Shimao Real Estate, etc. have also hit record highs last week. Is the valuation still in the “comfort zone”? For the Hang Seng Index’s gains this year, the industry believes that it has benefited mainly since the beginning of the year.Federal ReserveFast-paced pigeons, the mainland launched a strong policy to stabilize the economy and the Sino-US trade negotiations are expected to reach an agreement,Global MarketThe general rapid rebound, emotional and valuation repair is still the main driver. Ping An Securities(Hong Kong) analyst Li Yongzhen said that China's macro policies announced this year, including RRR cuts, tax cuts, infrastructure investment and fiscal deficit rate, are important catalysts for Hong Kong stocks to rise in the first quarter of this year. The Hang Seng Index has returned to the level before the US and China announced their punitive tariff lists in June last year. The current stock price may have moderately reflected that corporate profitability will return to the right track. Although Hong Kong stocks have performed well this year, they are still inferior to A-shares.Hang Seng AH Share Premium IndexThis year, it has risen by 6.41%, from 117.15 points at the end of last year to 124.66 points on Friday, which means that the overall premium of A shares relative to H shares has further increased from 17.15% to 24.66%. In terms of individual stocks, among the 111 AH shares, only the A shares of Conch Cement are currently discounted to the H shares, and the other AH shares are A shares with a premium to the H shares. Among them, 68 with a premium rate of more than 50%, accounting for more than 60%; 33 with a premium rate of more than 100%, accounting for nearly 30%. LuoyangglassThe premium rates of Beijing Capital and Zhejiang Shibao ranked the top three, 539.30%, 483.52% and 439.76% respectively. From the valuation point of view, Li Yongzhen believes that the current valuation of Hong Kong stocks is appropriate. It said that the Hang Seng Index's latest P/E ratio is 11.7 times, and the market consensus is expected to be 11.6 times in 2019. If the valuation can return to the 13x to 14x level in the second half of 2017 to the first quarter of 2018, the Hang Seng Index can reach 33600 points to 36200 points, with 12%-21, based on the current market consensus expected earnings of 2019. % potential upside. Liao Ling, chief analyst of GF Overseas Strategy, believes that the short-term Hong Kong stock market sentiment is better than expected, which may cause the index adjustment time to move backward. In March, the unexpected social consolidation data further strengthened the judgment, makingHSIThe retracement space around 30,000 points may be limited. It believes that the current stage of the market's divergence of the economy's "bottoming" is not big, but after a rapid repair of the valuation, the market's impact will basically rise, and the Hong Kong stock allocation structure will be more important to the broader market. It is still optimistic about the medium-term trend of Hong Kong stocks. The current valuation is still a “comfort zone” for long-term fund allocation. The volatility maintains a neutral position above the allocation. In the second half of the second quarter, there may be adjustment pressure. It is recommended to use the volatility to optimize the configuration structure. Luxury car dealers can't hold back: Rundong Auto has a huge loss of 1.5 billion. Nearly 20 billion people "returned overnight"! Guanghui oil suddenly went bankrupt. The boss left all positions. The stock price fell 4.35% on the next day. Can the “landlords” guarantee the continued profitability of Zen Travel Technology? The market value is close to the waist, the policy is tightening. Bojun education enters the cold winter? 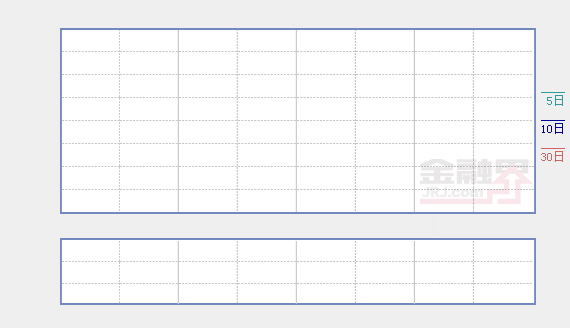 2019-04-18 06:41:30Source: Hong Kong stocks 100? ?